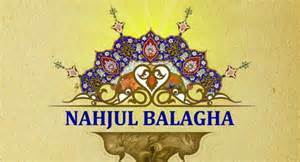 SHAFAQNA – Imam Ali (AS) in a letter to his son Imam Hassan Mojtaba (AS) wrote: My son, show (present) the past history to yourself, and remember what happened to previous generations. Travel to their lands and visit the remains of the past people, reflect on what they have done? Where they came from and where they settled? Separated from their friends and travelled to unknown lands. It seems that it will not be long when you will be one of them .